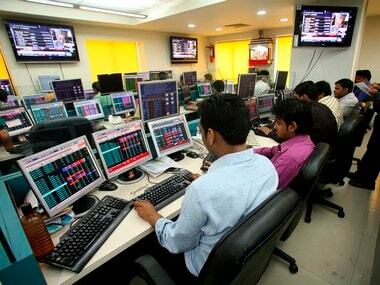 New Delhi: The Finance Ministry is in the process of shortlisting profit-making subsidiaries of CPSEs having a minimum stipulated net-worth, which can be listed on the stock exchanges, an official said. Currently, profit-making CPSEs with a minimum net worth of Rs 500 crore are listed on the exchanges. The Department of Investment and Public Asset Management (DIPAM) will be consulting administrative ministries and central public sector enterprises (CPSEs) before finalising the names of the subsidiaries for the stock exchange debut. "We are drafting a list of subsidiaries of CPSEs which can go in for listing through an initial public offer. The net-worth threshold for such listing too would be decided after deliberation," an official told PTI. In 2017-18, there were 257 operational CPSEs, of which 184 were profit making. Most of the profit-making subsidiaries of CPSEs are in coal, power and oil and gas sector. The official said, CPSE arms having a track record of making a profit for at least three years are likely to be picked up for listing. The DIPAM, the official said, is preparing the pipeline of state-owned companies which can be listed on the stock exchanges in the current financial year or subsequent fiscals. The pipeline is necessary as the government holding in most of the bluechip CPSEs is close to 51 percent. Though the listing of CPSE subsidiaries will not fetch any money to the government directly but it will get money in the form of a dividend from the parent company. In 2016, the DIPAM came out with capital restructuring guidelines for CPSEs, which mandates that they must pay a minimum annual dividend of 30 per cent of profit after tax or 5 percent of the net worth, whichever is higher.